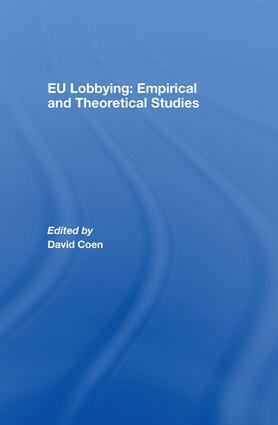 EU Lobbying: Empirical and Theoretical studies offers an analysis of large empirical studies of interest group politics and Lobbying in Europe. Recognising the continued European economic integration, globalisation and the changing role of the state, it observs significant adaptations in interest mobilisation and strategic behavour. the growing political sophistication of private and public interests in Brussels. Through these issues the book explores how interest groups lobby different European institutions along the policy process and how the nature of policy dictates the style and level of lobbying.